Woodbridge: Rare copy of The Beatles’ album Please, Please Me donated to British Red Cross charity shop. Beatles Radio: The Beatles, Solos, Covers, Birthdays, News The Fab 4 and More! 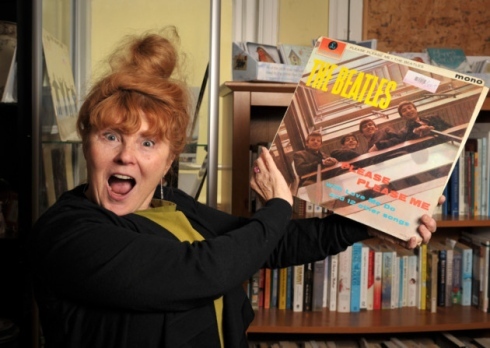 When charity shop worker Merriam Keeble took delivery of a donation of 200 LPs she was in for a pleasant surprise. For, hidden away among the records featuring the likes of The Rolling Stones, Manfred Mann and Diana Ross, was a rare pressing of The Beatles’ album, Please, Please Me.